A new five-year strategic direction and an outdated logo sparked Maine’s largest and most diverse public school district to undertake a comprehensive rebranding effort. After extensive research in the school community, we worked with Portland Public Schools to define core values, develop a new overarching brand identity and tagline as well as naming, messaging and identity for the strategic plan. 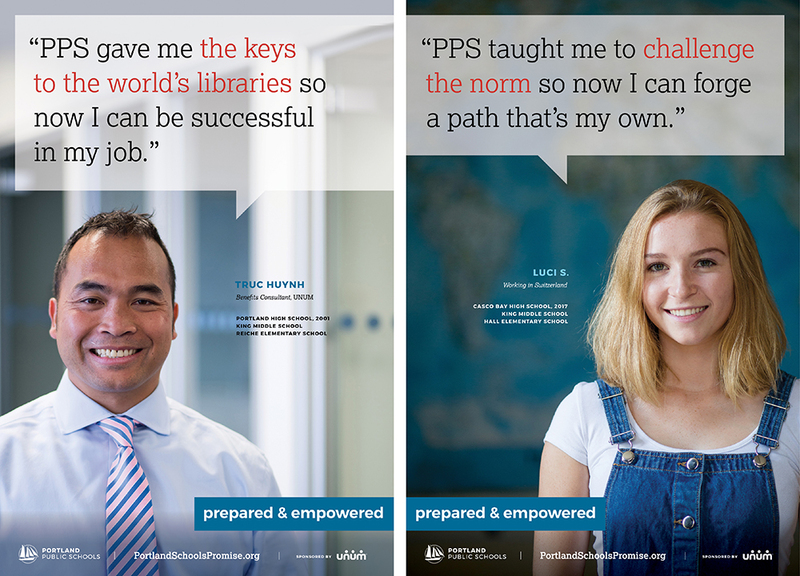 A messaging campaign executed through video, web, social media and print highlighted PPS graduates’ individual success and put the plan and its objectives top of mind for the community.